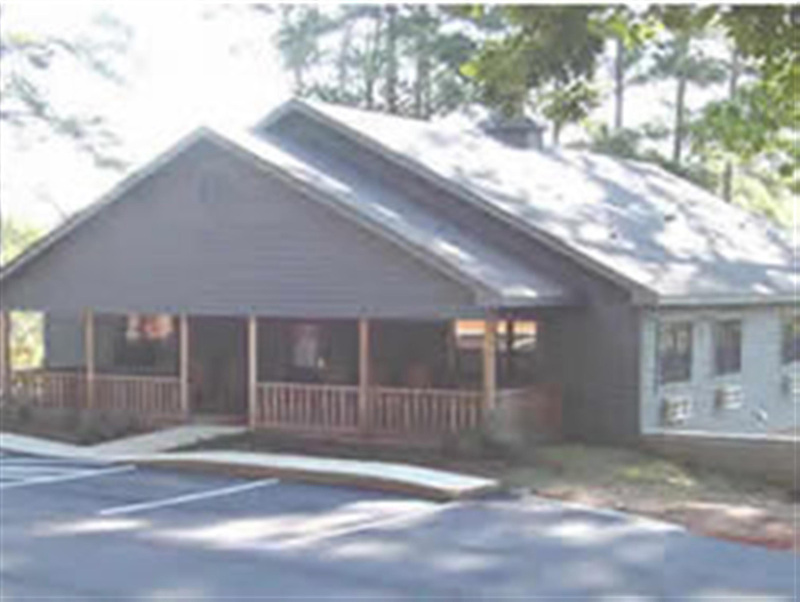 Here’s a collection of photos taken at the November 2014 CPQ Retreat. 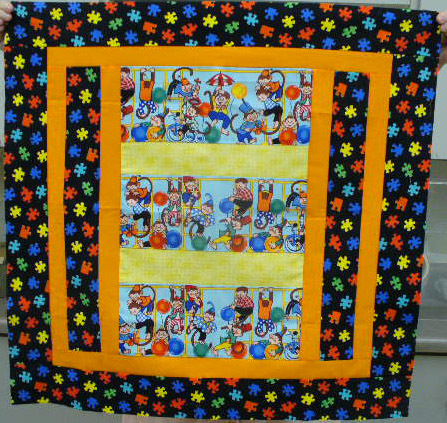 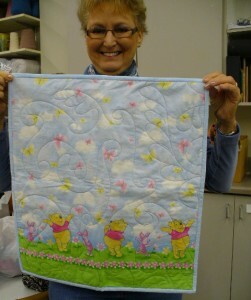 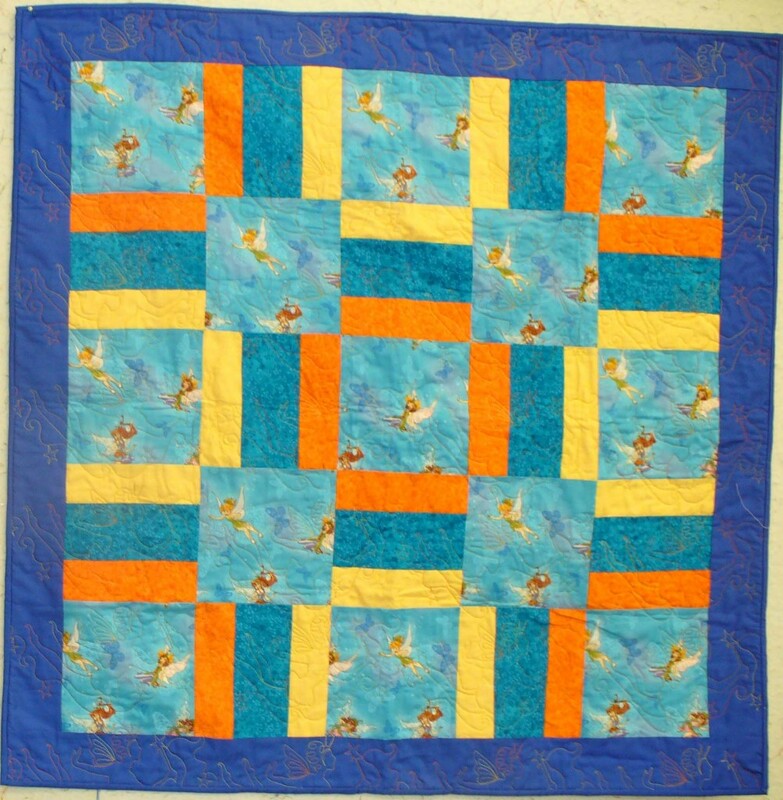 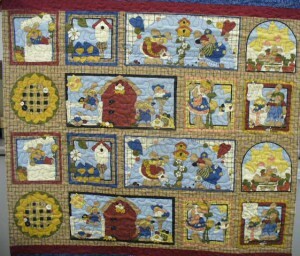 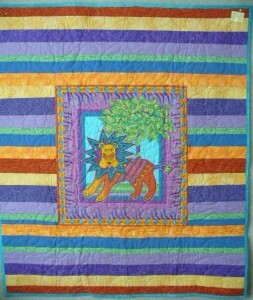 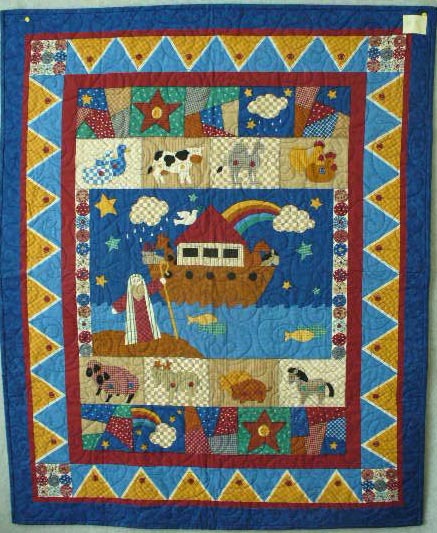 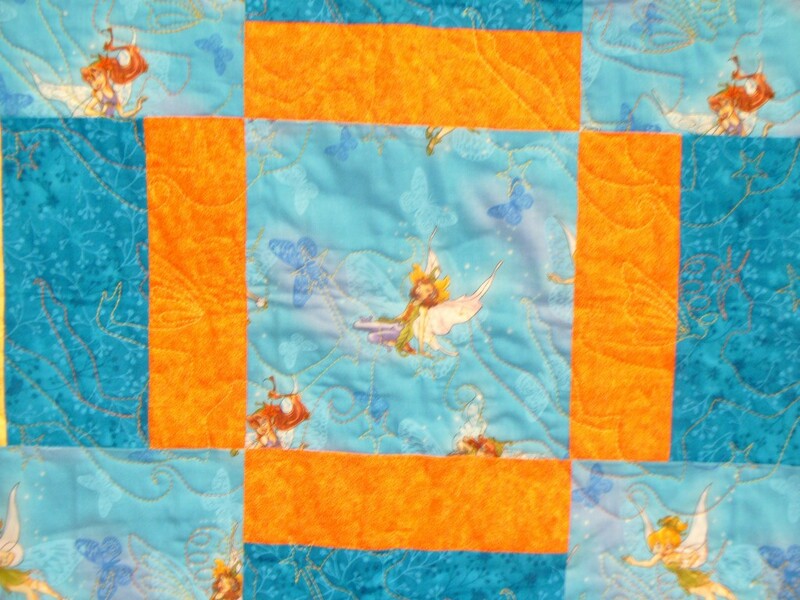 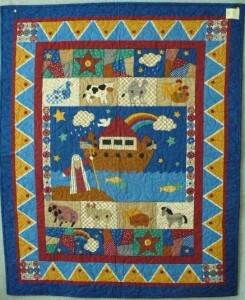 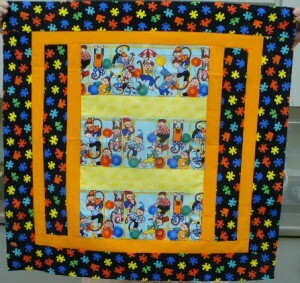 The guild members had a great time, while finishing some great quilts! 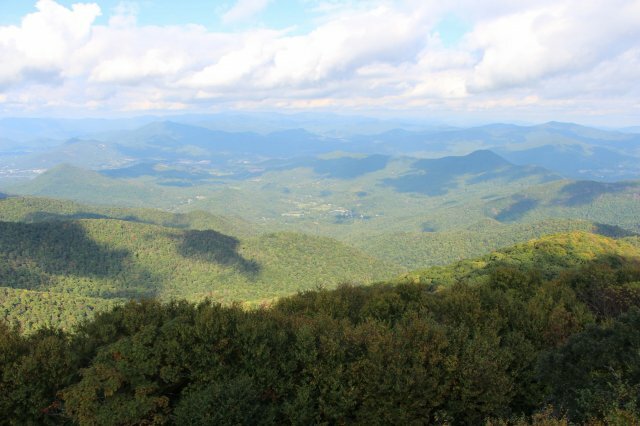 Brasstown Bald is a park in the U.S. National Park Service and is the highest point in Georgia. 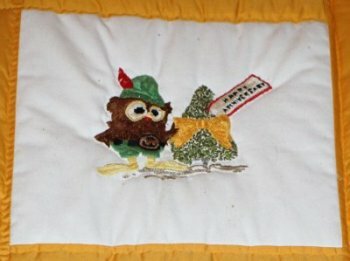 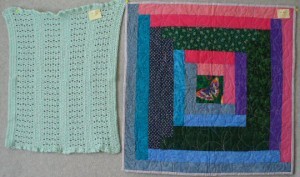 I’ve transcribed the following text from the binders that describe two of the quilts. 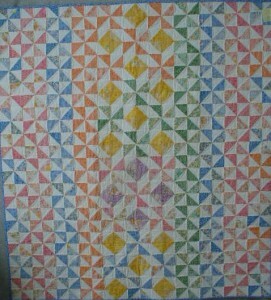 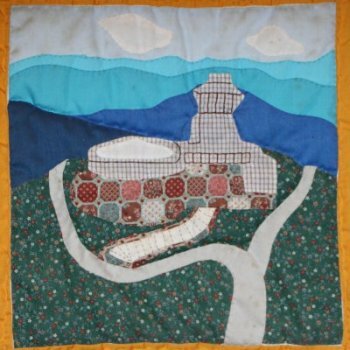 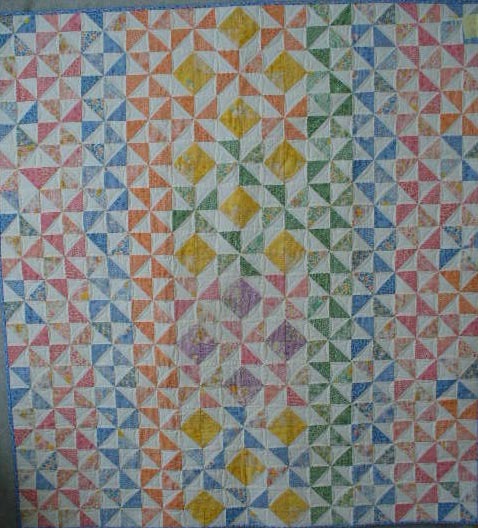 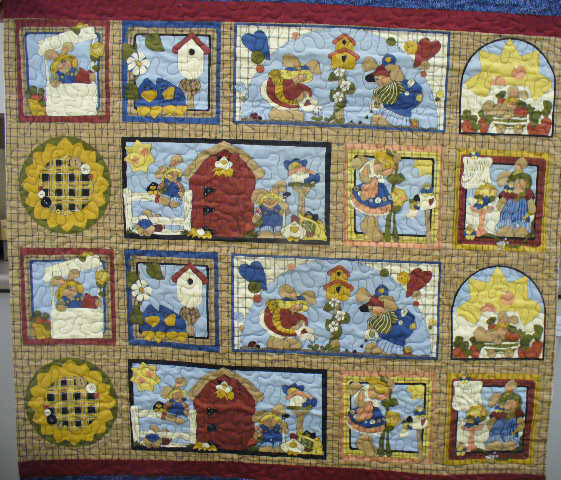 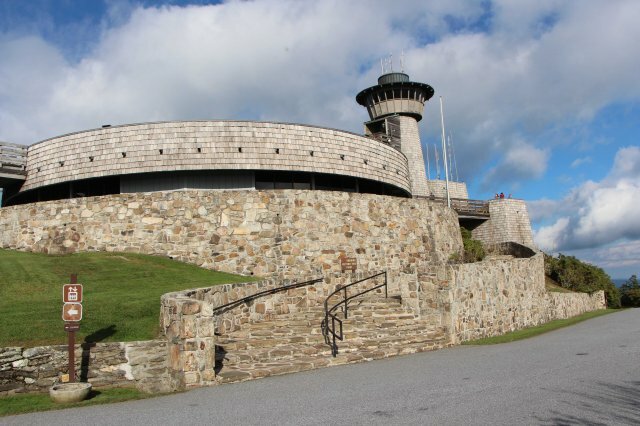 The quilts hang high on the wall just inside the Visitor’s Center on top of the mountain. 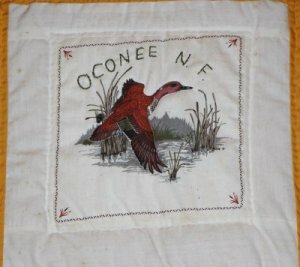 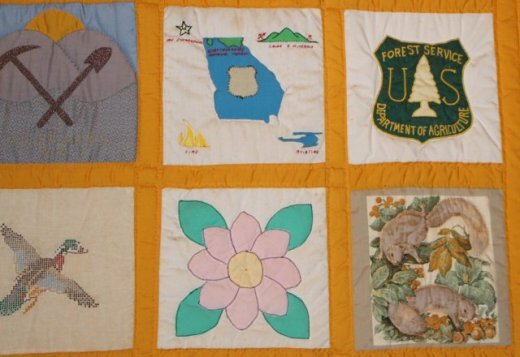 In August 1985, the Chattahoochee National Forest began making plans to celebrate its 50th anniversary which occurs July 9, 1986. 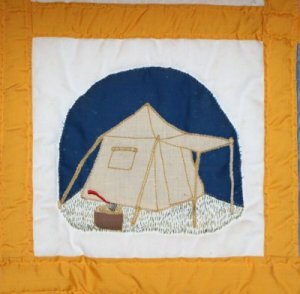 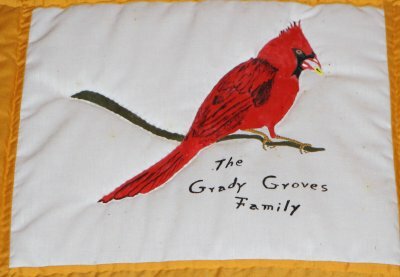 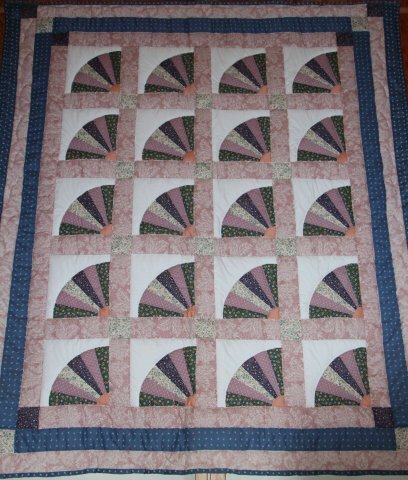 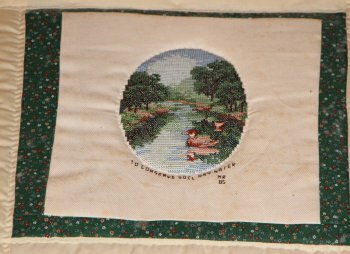 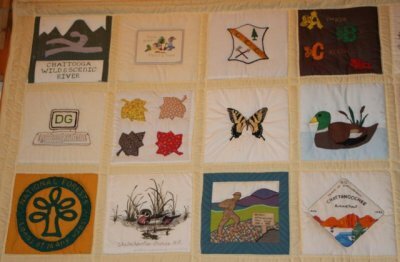 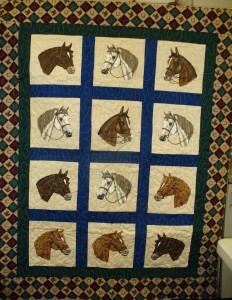 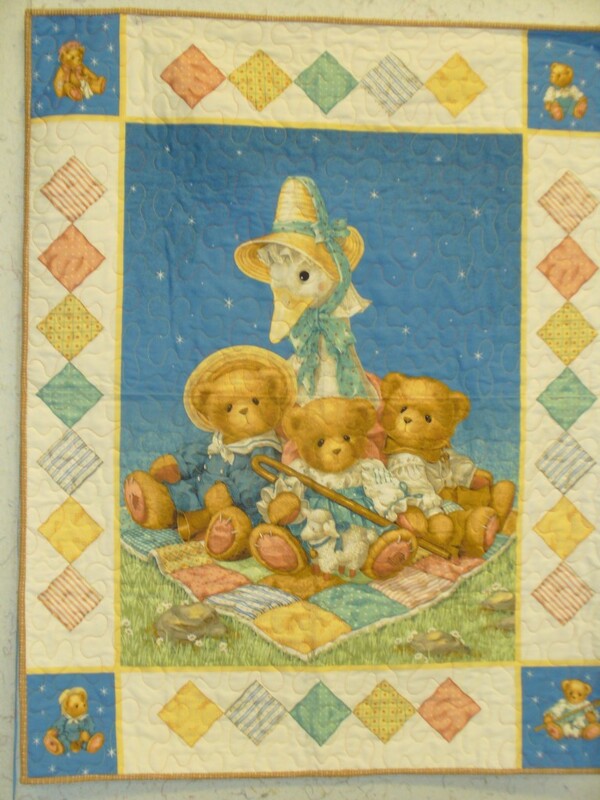 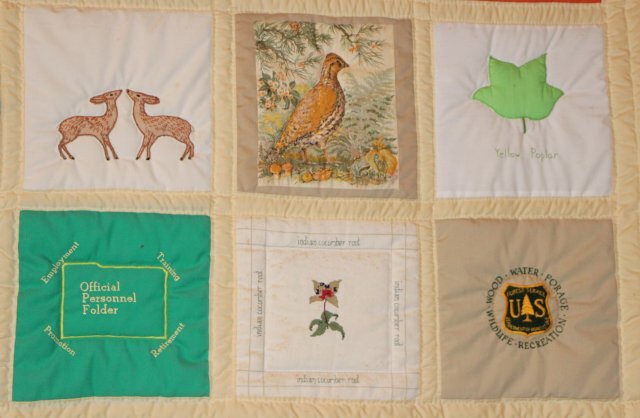 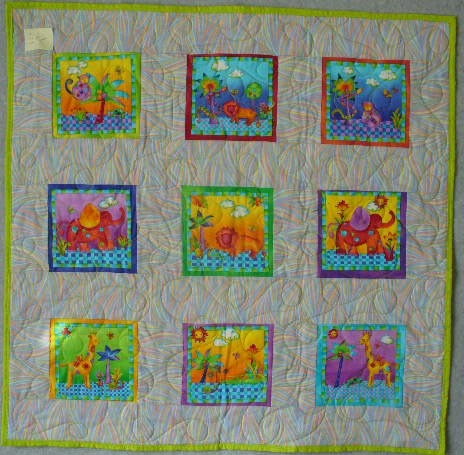 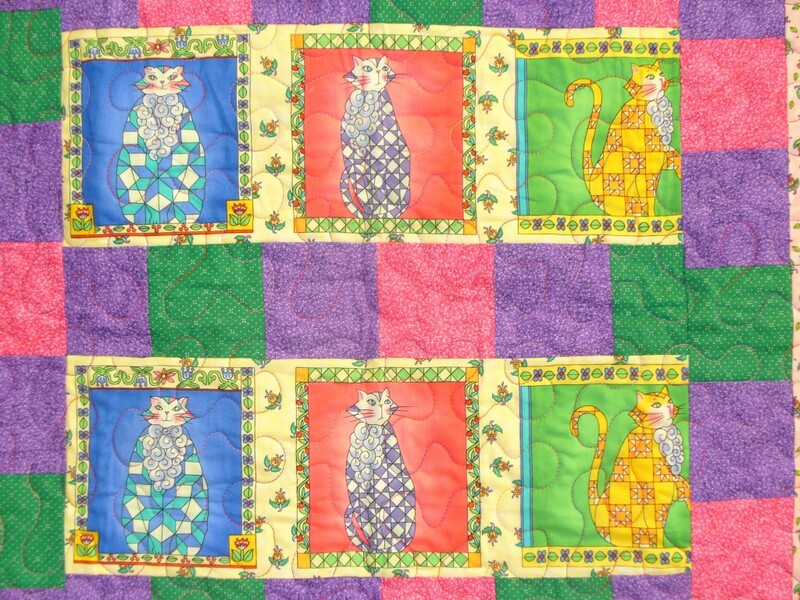 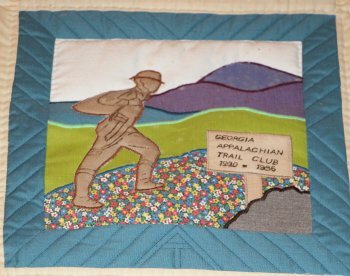 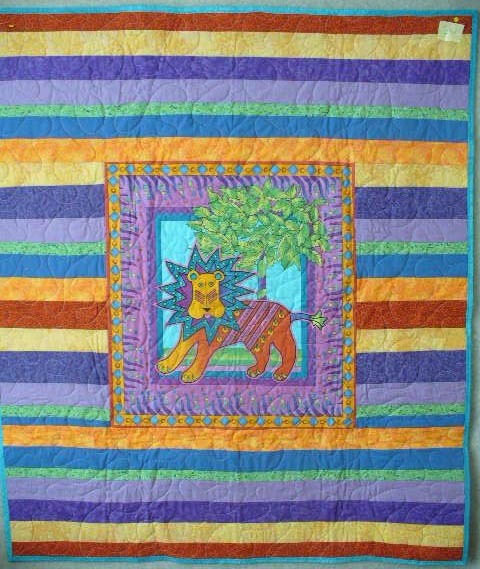 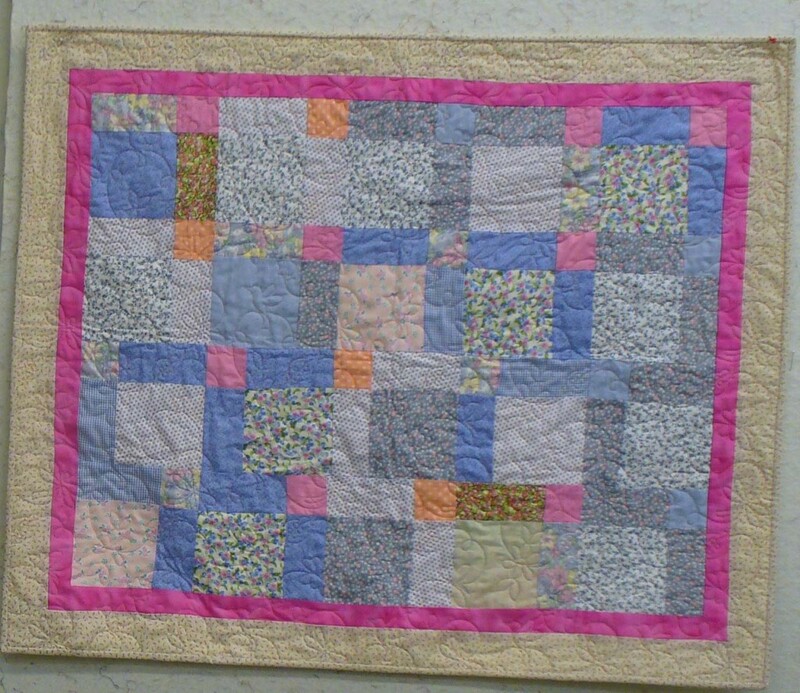 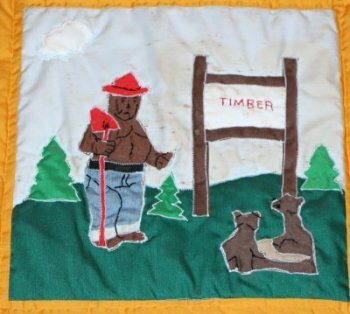 One idea fostered by Frances Mason, Forrester, Brasstown Ranger District, was to make an anniversary quilt. 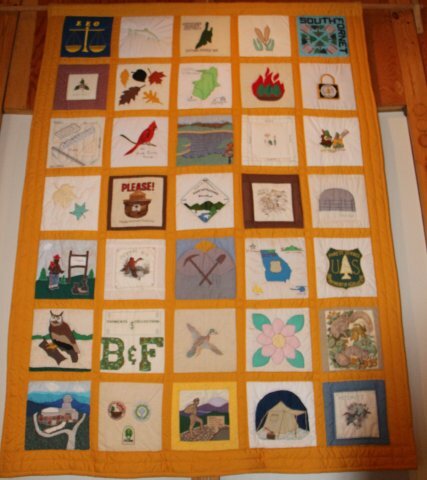 The squares would be contributed by employees and/or cooperating agencies and would be representative of Forest Service work or resources on the Forest. 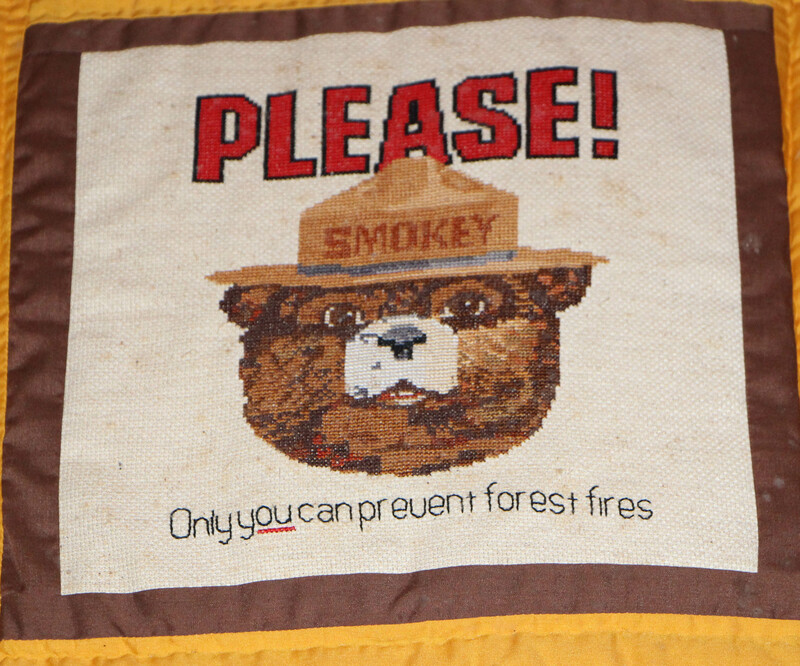 The response was overwhelming. 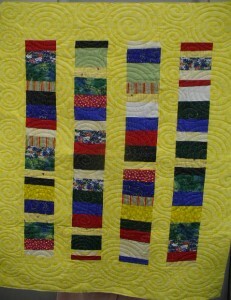 Enough quilt squares to make two quilts were contributed. 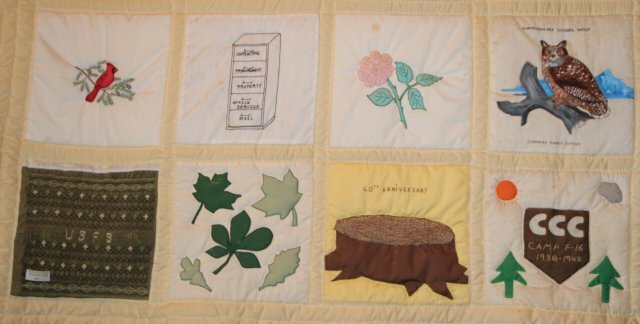 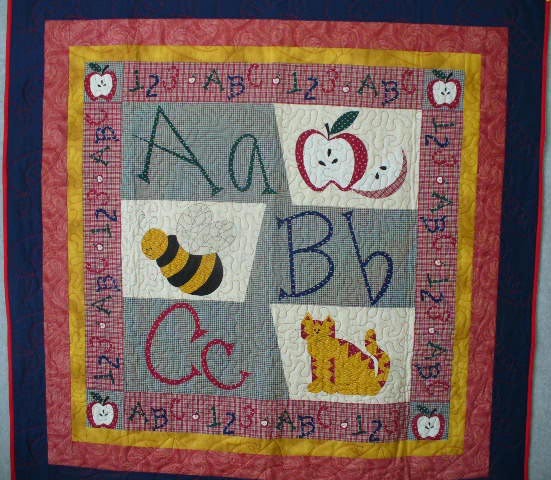 This scrap-book lists all the squares and people who did the work on this anniversary quilt. 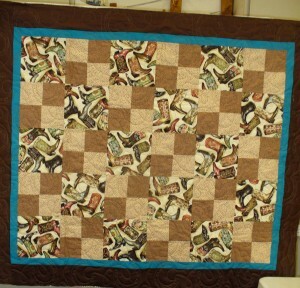 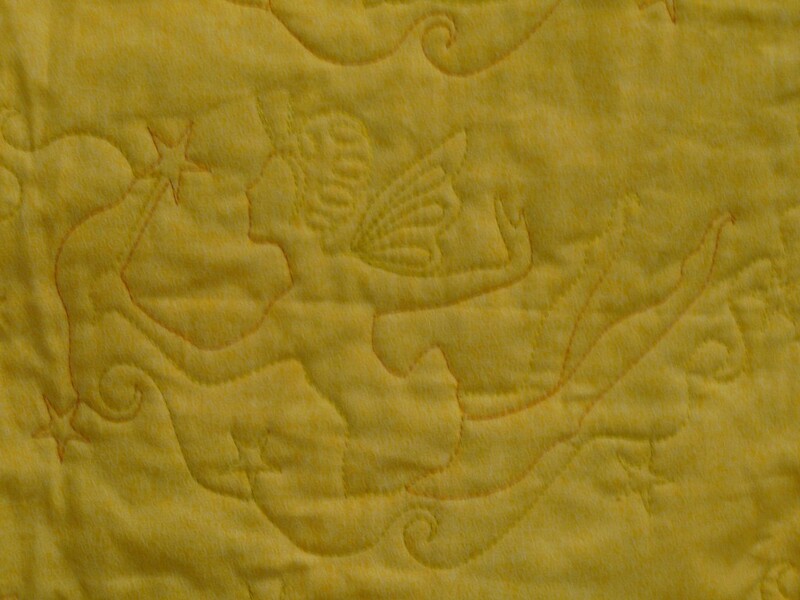 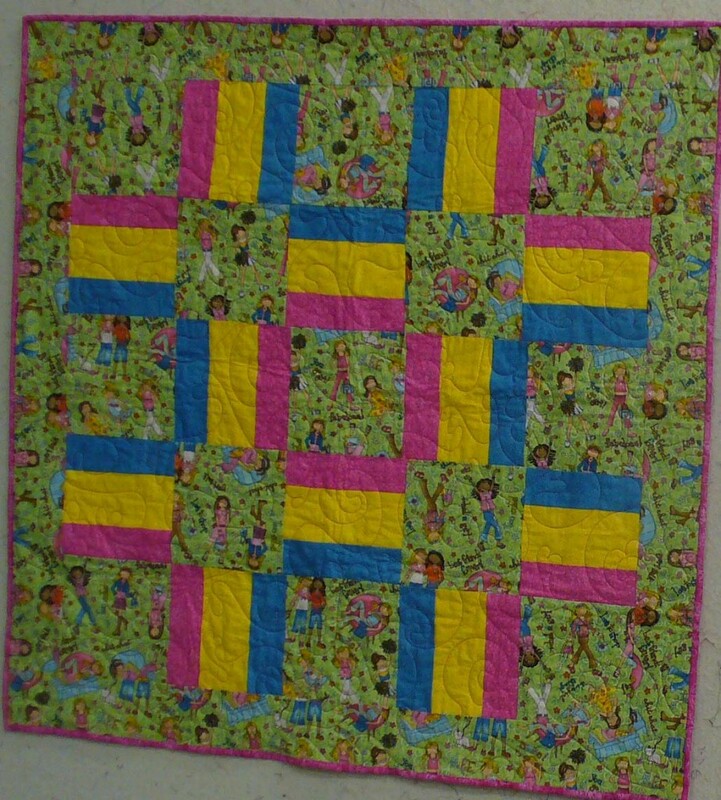 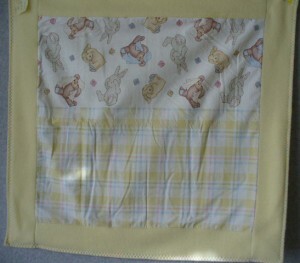 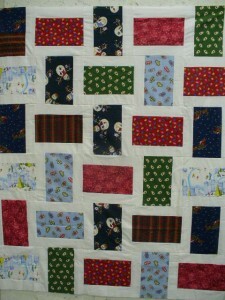 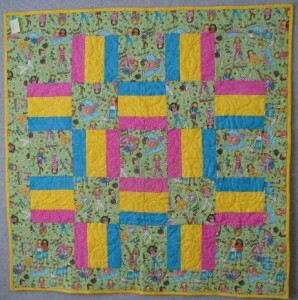 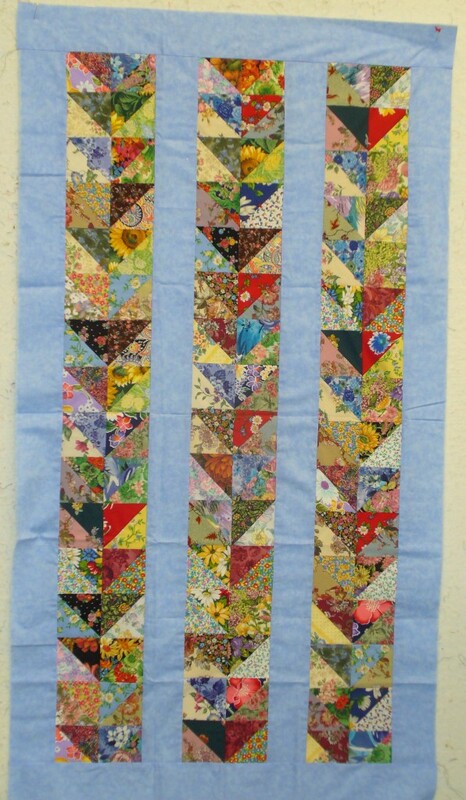 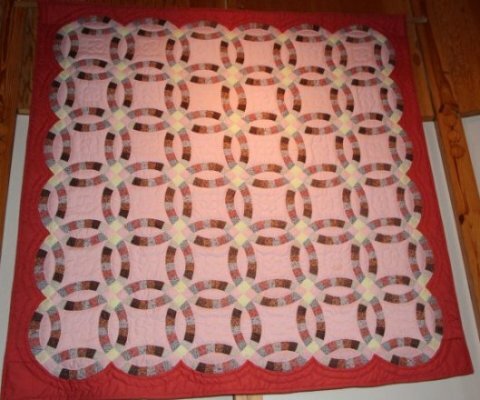 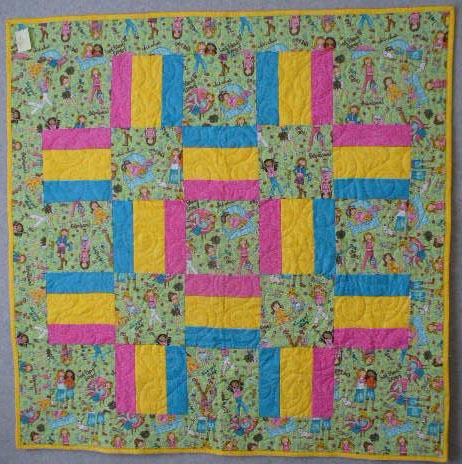 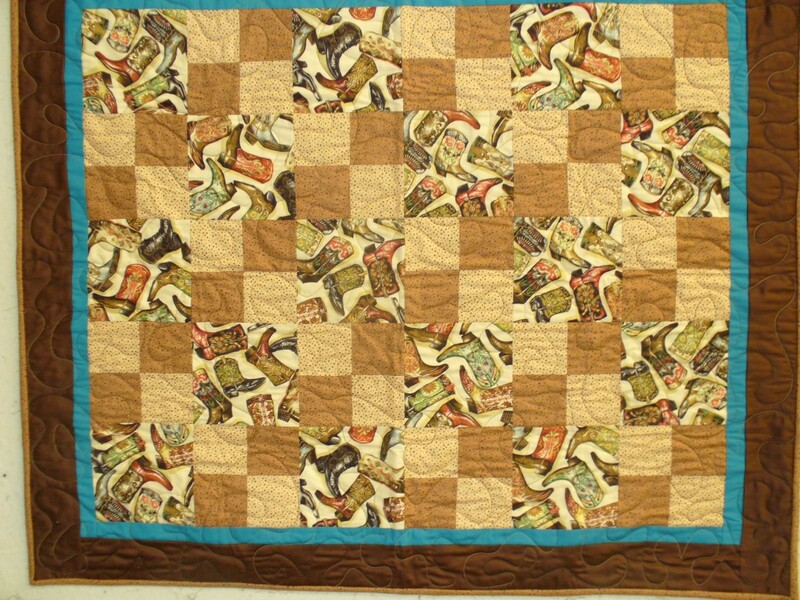 Sewing the squares together and quilting. Sewing the squares together and quilting was done by Maxine Lee, Senior Community Service Employee Program enrollee on the Brasstown Ranger district. 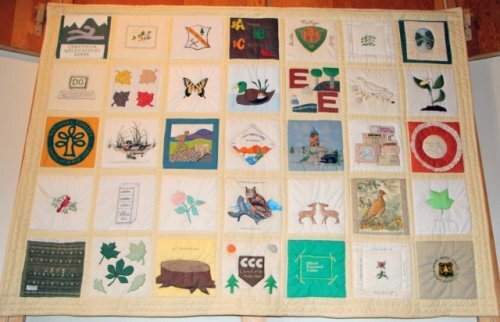 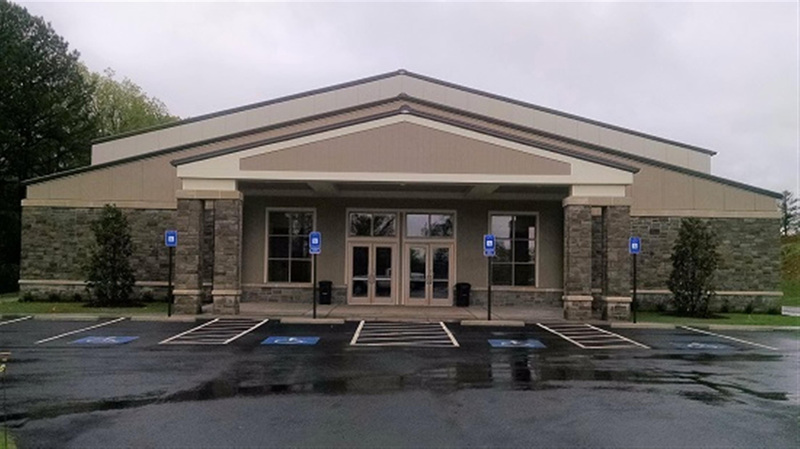 The creativity, teamwork, and volunteer hours of meticulous craftsmanship that went into this project demonstrate the character of the Forest Service employees and their loyalty to the Forest Service tradition of caring for the land and serving people.